Reggae fused with hip hop.... that's what Reggae Party is all about. By taking the beat from the ever-classic Party Up by DMX (from the album ...And Then There Was X) and fusing it with one of Elephant Man's most popular tracks, Pon Di River, Pon Di Bank (from the album Good To Go), you get an incredible sound that's sure to set off the party, club, bar, BBQ or wherever you may be. 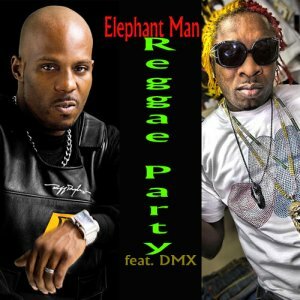 Reggae Party is available with a version consisting of strictly Elephant Man, a version featuring verses from DMX and Elephant Man, an instrumental & an acapella. Hopefully the different versions will come in useful for any DJ's who may be using the track to mix with. This is a great summer track for anyone who likes to enjoy the warm weather & beaches. So be sure to sample Reggae Party and get your free download of all 4 versions at djdiamonddog.com. If you enjoyed Reggae Fusion, please take a minute to sample my other mixes at djdiamonddog.com ... they are all free. No registration. No waiting. No download limits. All I ask is that you share the website & social network pages with your friends & help me get my mixes out. Thanks for your support of djdiamonddog.com.